At the time of this writing, Doug Stark's Mechanics Instruction that Sticks: Using Simple Warm-Ups to Improve Student Writing has been purchased by half a thousand people; these educators come from seven different countries and 48 US states (New Mexico and Delaware, if you're wondering). Needless to say, Doug and I are humbled and happy that the book seems to be meeting a need. In my reading of late, I've been making connections to Doug's book of warm-ups. Two books in particular have been insightful: John Hattie's Visible Learning and Peter Brown, Henry Roediger, and Mark McDaniels' Make It Stick. Specifically, Hattie's meta-analysis has reminded me of things that no curriculum or resource can ever do, and Brown, Roediger, and McDaniels' work has shown me why Doug's warm-ups tend to help kids improve the mechanics of their writing. I think it's helpful to start with why Mechanics Instruction that Sticks certainly isn't a silver bullet. You won't make a bunch of photocopies of the first unit of warm-ups, hand them out, and then magically see students write more mechanically sound sentences. First of all, such a “chuck worksheets at kids” approach is completely contrary to the instructional flow Doug lays out in the introduction (read that introduction free right here). But furthermore, no curriculum or resource, in the hands of a teacher without credibility, isn't going to magically work wonders. In Visible Learning for Teachers, John Hattie shares that, of all the influences on student achievement examined in his meta-analysis, the fourth highest influence (at an effect size of .90), is teacher credibility. Hattie breaks teacher credibility down into four parts: trust, competence, dynamism, and immediacy. Trust: Doug's warm-ups can't make you consistent and fair. When students share their sentences, are you fair in calling on them? Are you consistent with ensuring that students are doing the work? Competence: A solid curricula or resource might make us appear more competent to our students (e.g., Doug's warm-ups give teachers a coherent, focused approach to teaching and applying English sentence knowledge), but there's no replacing the work it takes to study up on mechanics and understand what you're teaching to the point where you can explain it a few different ways. 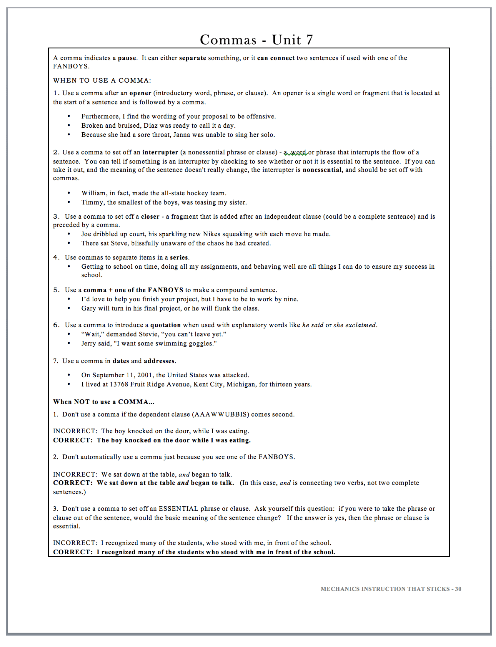 Mechanics Instruction that Sticks does give summary sheets for each unit's topic and provide an excellent, comprehensive introduction (read it free here), but it pairs beautifully with additional reading (try Grammar Girl). Dynamism: No curricula can make you a better, more energized deliverer of instruction. Immediacy: Doug's warm-ups won't help you make eye contact with students. These four components, according to Hattie, combine to become teacher credibility. This, of course, isn't something you can buy; you develop it over the course of a career through consistent, focused effort. It is the eventual fruit of operating with an Inner Scorecard. Figure 2: A Unit Explanatory Page from Mechanics Instruction that Sticks. These pages allow students to develop and review key knowledge. Warm-ups provide a condensed form of retrieval practice. I started reading Brown, Roediger, and McDaniels’ Make It Stick after Doug's book came out, and I don't think Doug has read it yet. However, it certainly does explain why students who came to me from Doug years ago tended to be much sounder writers than students Doug received from me. Essentially, Doug's warm-ups provide a simple, condensed application of several concepts in Make It Stick, and as a result Doug's kids tended to retain language knowledge in ways mine didn't. As Brown, Roediger, and McDaniels put it, “All new learning requires a foundation of prior knowledge.” Too often, I think we English teachers fall into the trap of approaching grammar and mechanics knowledge with hesitancy. The wisdom of the day suggests that it's best to teach kids the mechanics knowledge they need only right when they need it, delivering mechanics instruction solely within one-on-one or small group settings. This, in Doug's and my opinion, is needlessly reductionistic. 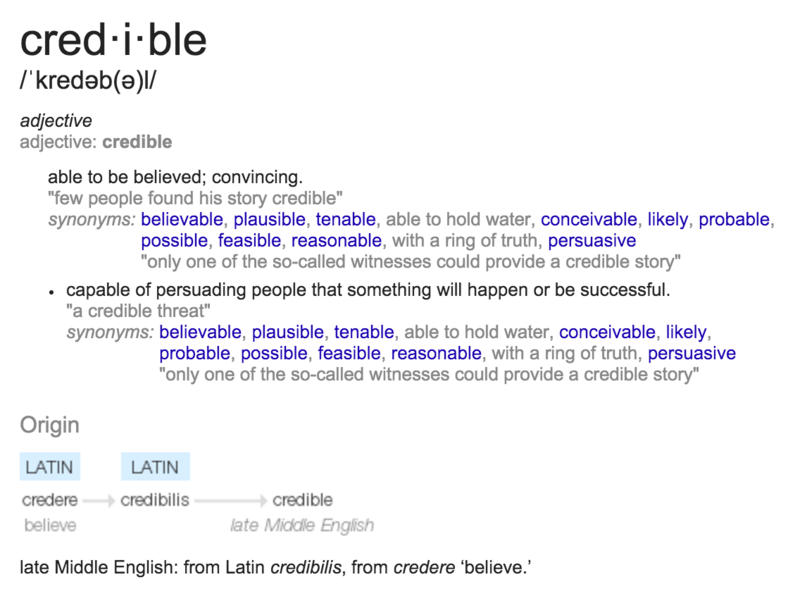 Why shouldn't knowledge of the English language be part of a guaranteed, viable curriculum? It is important, of course, not to allow mechanics instruction to stretch from 5-10 minutes at the start of class to 30-40 minute lessons. This, indeed, would become tiresome for students who've largely “got it” and need to move on. Efficiency is one of Doug's chief concerns for this very reason. 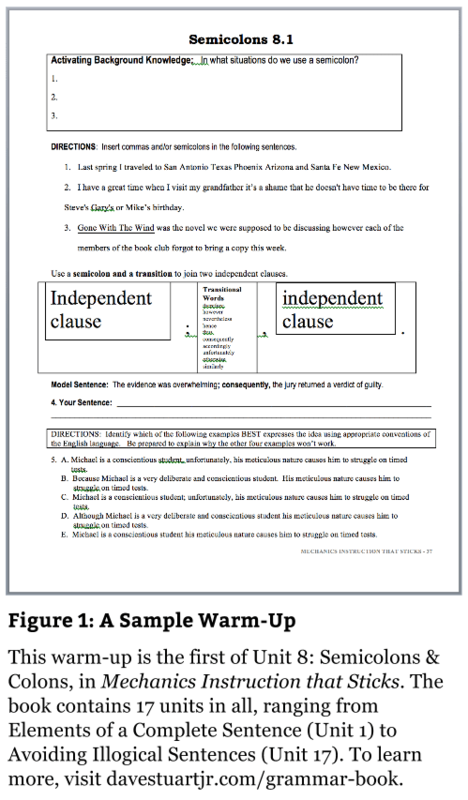 With these things said, Doug's book delivers a coherent sequence of foundational language knowledge, and each unit of warm-ups is introduced with an Explanatory Page (see Figure 2). Yet for knowledge to “stick,” spaced retrieval practice is necessary. While the brain is not a muscle that gets stronger with exercise, the neural pathways that make up a body of learning do get stronger, when the memory is retrieved and the learning is practiced. Periodic practice arrests forgetting, strengthens retrieval routes, and is essential for hanging onto the knowledge you want to gain. Figure 3: A Sample Warm-Up from Mechanics Instruction that Sticks. The “Activating Background Knowledge” section allows for retrieval practice. The sentence correction, sentence creation, and ACT/SAT style questions provide interleaved and varied practice types. On Doug's warm-ups (see Figure 3), there's an “Activating Background Knowledge” section that allows for this to take place. To further enhance knowledge retention, it is useful to mix up how that knowledge is used. When you're adept at extracting the underlying principles or “rules” that differentiate types of problems, you're more successful at picking the right solutions in unfamiliar situations. This skill is better acquired through interleaved and varied practice than massed practice. For instance, interleaving practice at computing the volumes of different kinds of geometric solids makes you more skilled at picking the right solution when a later test presents a random solid. Interleaving the identification of bird types or the works of oil painters improves your ability both to learn the unifying attributes within a type and to differentiate between types, improving your skill at categorizing new specimens you encounter later. Even if you're not an English teacher using these warm-ups, I hope that some of the above principles have helped. If you'd like to read an introduction to the book, click here. If you'd like to purchase Mechanics Instruction that Sticks ($10), click here.